Katie and Tony were interested in bringing a garden fresh look into the MyMoon reception space. 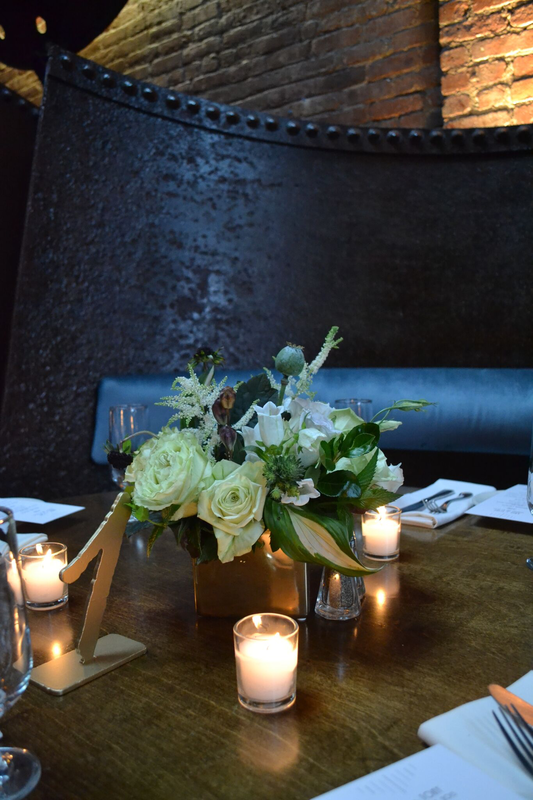 We decorated the long wooden tables with gold toned ceramic vases filled with lots of white, ivory and green blooms, along with tons of lush and overflowing greenery, berries and poppy seed pods. We were also able to incorporate mint and hostas from our own garden! 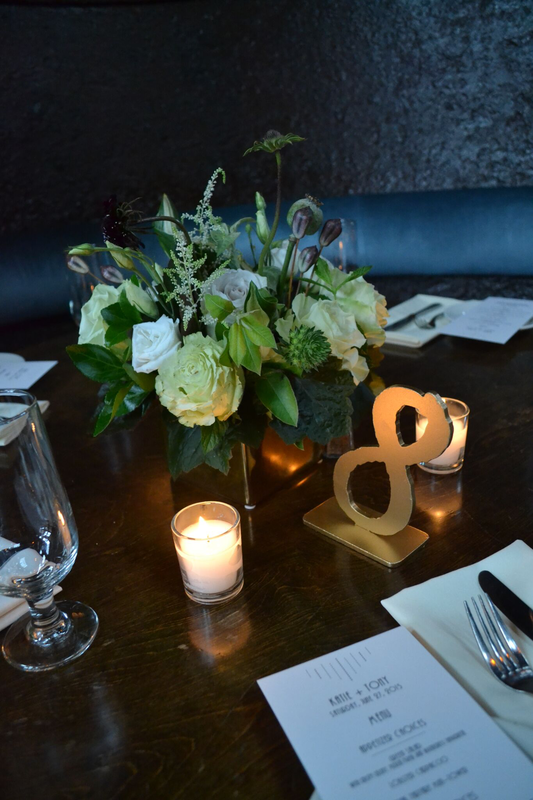 The gold toned vases and rust colored lanterns looked great against MyMoon's brick and brass interior. Each long tables was also decorated with custom crisp white linen runner, which helped to brighten the look of the tablescapes, and helped to make the whole table glow! 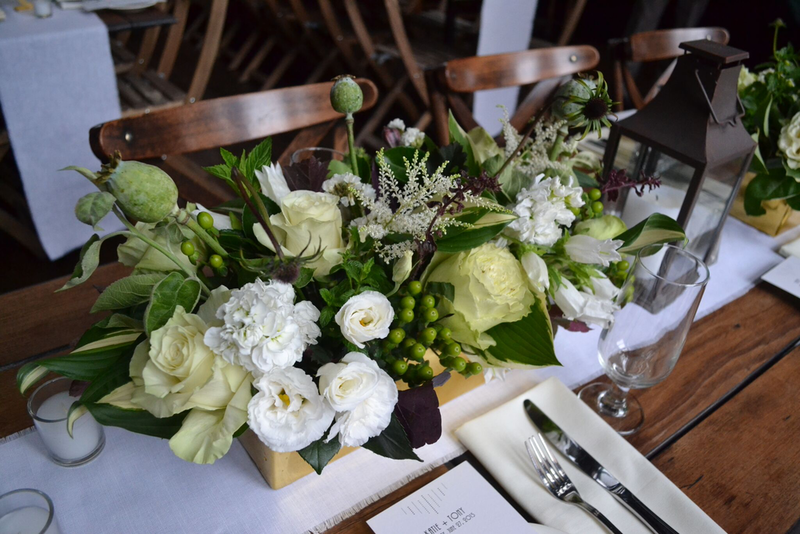 For Katie's bridal bouquet, we used a mix of late season white peonies and white dahlias, accented with green hypericum berries, scabiosa, jasmine and various greens. Instead of using ribbon, we wrapped her bouquet in a gold toned wire. So fun! 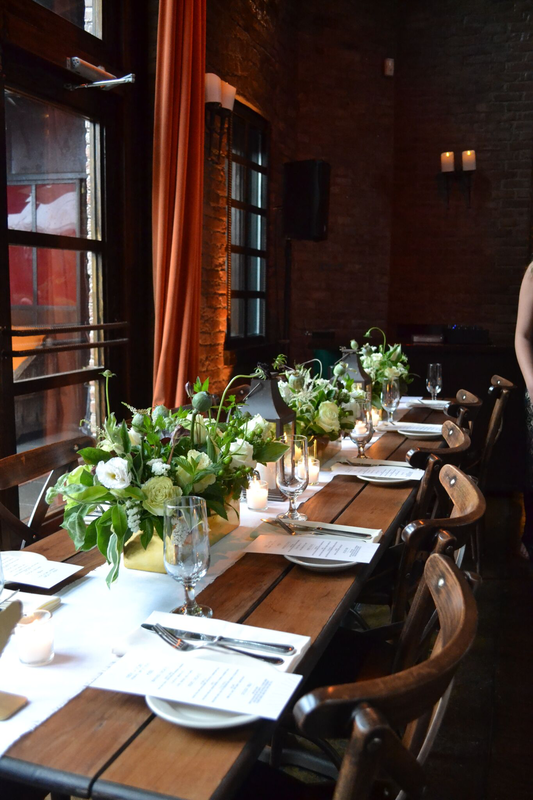 It all came together wonderfully and the venue had a slight fresh perfume of flowers and mint! Congrats to Katie, Tony and their entire families!